OnePlus X, finally we’re getting some details about the specs and pricing. Earlier, it was spotted on Amazon.in with the name OnePlus mini and was also spotted with images and specs on certification site, but now it’s confirmed that OnePlus X will be the smallest of all OnePlus devices till date. A few images have been leaked which confirms the specs of the OnePlus X`which is to be revealed tomorrow (October 29) in China. The OnePlus X will sport a 5-inch display, so it’s the smallest and most compact OnePlus device till now, it will be powered by a Snapdragon 801 chipset clocked at 2.33Ghz, coupled with 3GB of RAM. The OnePlus X will run Android 5.1.1 out of the box and for stoarge, there will be various options like 16 or 32GB ROM, and a microSD card slot in which you can use a microSD having upto 128GB of storage capacity. The 5-inch display will have a resolution of 1920 x 1080. OnePlus X will also feature a Curved 2.5D glass. Now coming o camera part, we see a good upgrade on the selfie camera with an 8 MP sensor, however there is a 13MP primary camera which is quite less if we compare with earlier OnePlus phones. And at last, the phone will be priced at 1599 Yuan or 1699 Yuan, as far as I think that may depend upon the storage options only. Till now, in 2015 the OnePlus X is the second phone till now to have a Snapdragon 801 chipset. 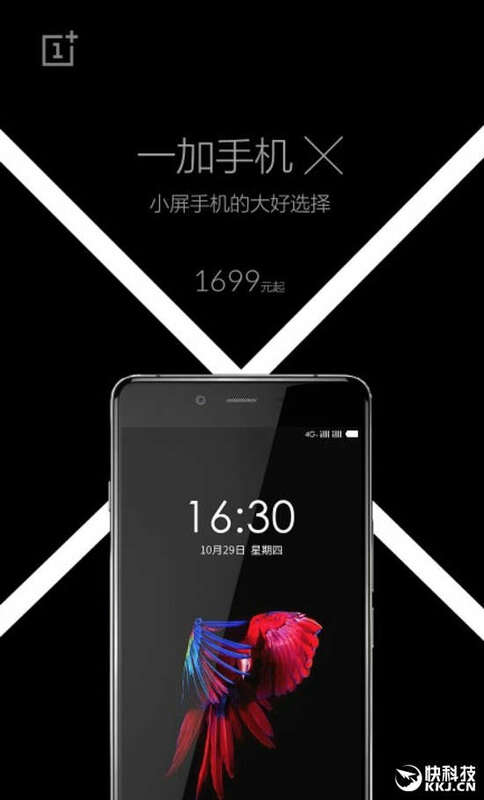 however, Zuk Z1 is also another phone which features the same SoC. So, over all, we get a clear picture of what’s inside the OnePlus X and how it will be priced. What’s yopur thought on this mid range phone from OnePlus? Leave your comments in the description section below.